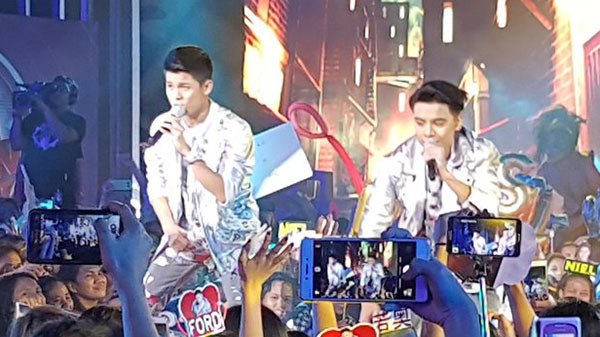 Niel Murillo, Russell Reyes sings ‘Cold Water’ on Pinoy Boyband Superstar Top 7 Live Grand Final show, Saturday, December 10, 2016. “Niel you come a long way. You both are strong. You show confidence tonight,” said Aga Mulach. “Your production is futuristic. The future is bright for the both of you. I think you will be part of the boy band we are making,” said Yeng Constantino. The Top 7 finalists will perform live for your votes on Saturday December 10. One member will be named at the end of the show tonight. Full results and winners will be revealed on Sunday December 11.